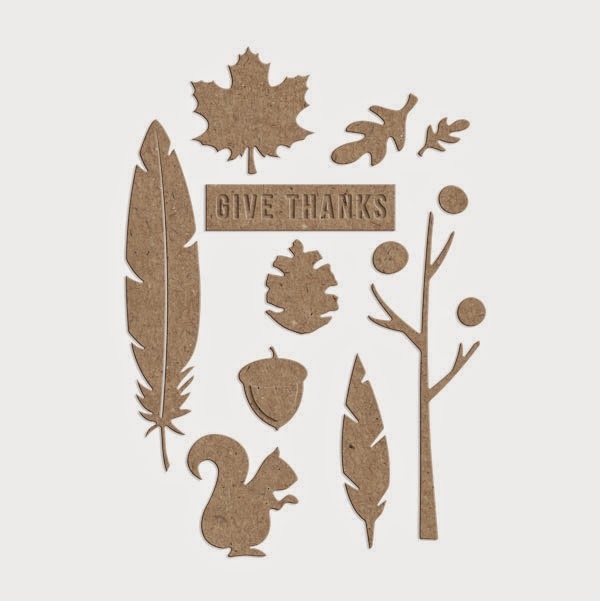 Shop the Neighbourhood - November 29! 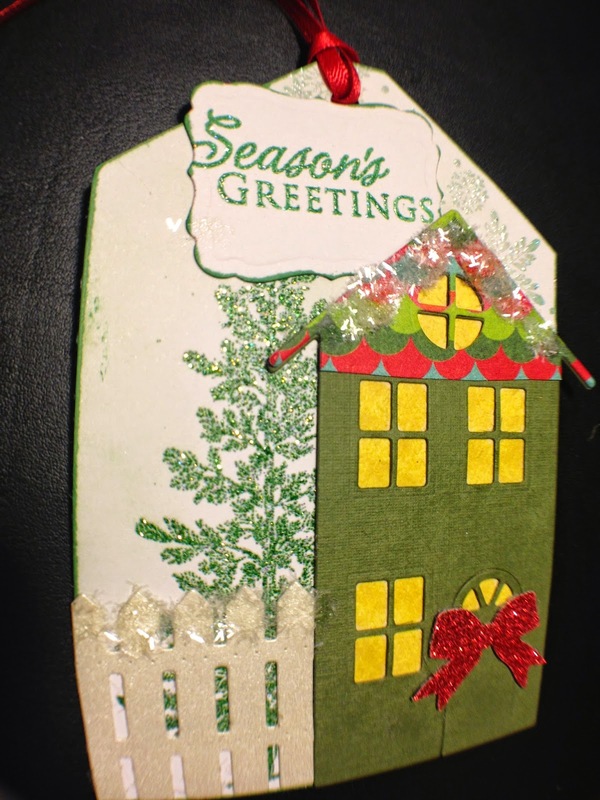 Christmas Open House - THIS Saturday! So have you heard about this event yet? It is all about encouraging people to shop locally! Now you guys know I am ALL about this concept. And it's not just because I OWN a small business. I have been shopping local, small business FOREVER! I have a soft spot in my heart for the little veggie stands on the side of the road, the kiddie lemonade stands, the craft shows, the boutique style shops. These entrepreneurs are all taking a chance on a dream and really....that takes guts. I often do an annual blog post around this time of the year about the importance of shopping local. Remember my post a few years ago about buying a bike from Todd at Smith Cycle or wonderful gifts from Barb at Barrypatch? 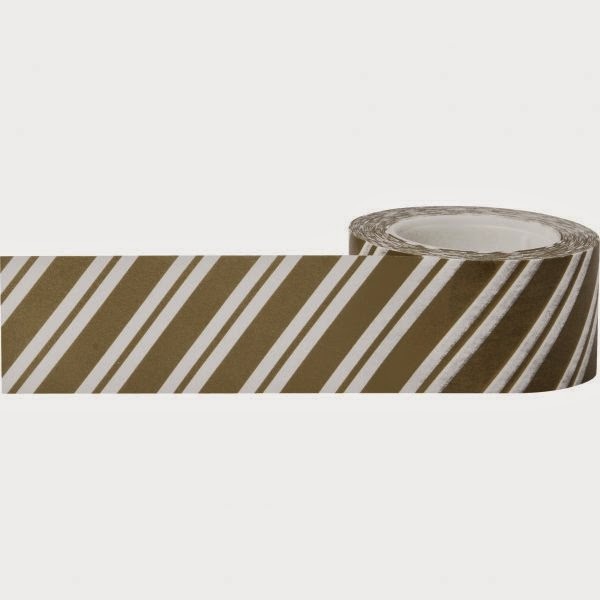 Are you on a first name basis with any of the stores you frequent? I get a wonderful sense of belonging and community when I walk into a store where the salesperson knows me as Kim! The YellowPage Group has taken this same concept and are encouraging AND facilitating it so it spreads nationwide. What a brilliant idea on their part. Today we are bombarded with US based advertisements about "Black Friday" promotions. Why not wait one day and get some great deals just down the road. SAVE your gas. SAVE your time. SUPPORT your neighbour. Here is a link to the deals in Chatham, Ontario! Please remember this is the inaugural year. Next year this event will be even bigger, with even more participants! You will be able to say you were there when it all began back in 2014! 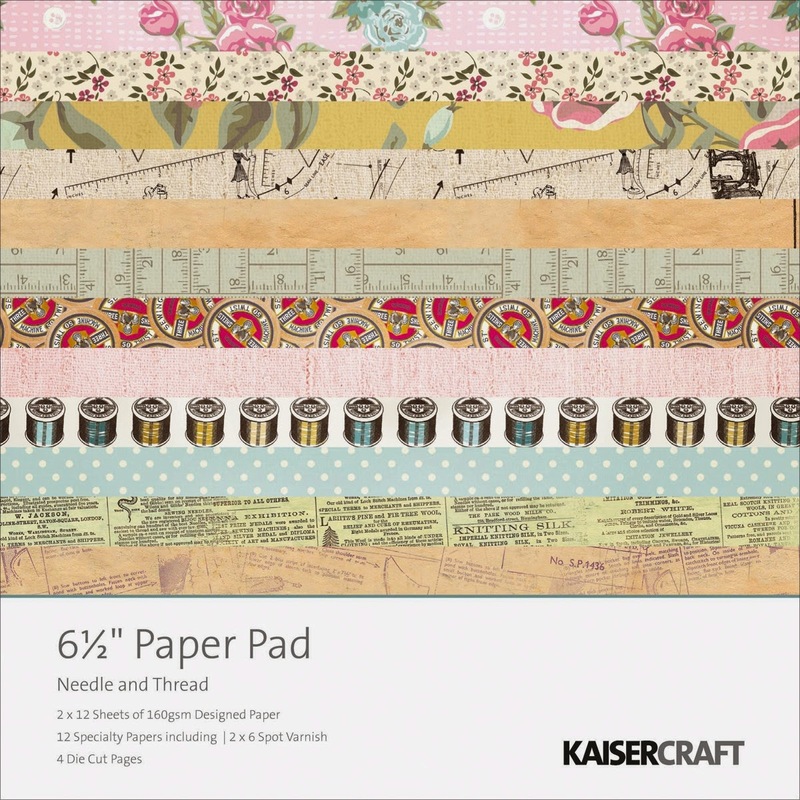 We are celebrating the Shop the Neighbourhood event with a FREE Kaisercraft 6.5x6.5" paper pad for EVERY $50 purchase! 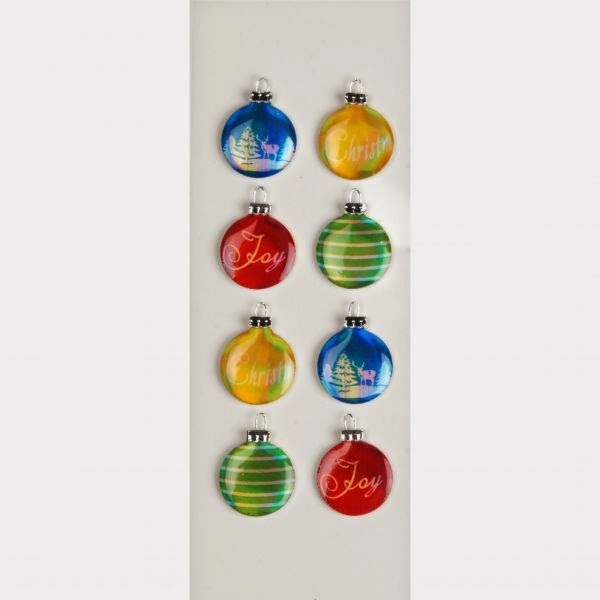 This is a $9.99 value with over a dozen different styles to choose from. 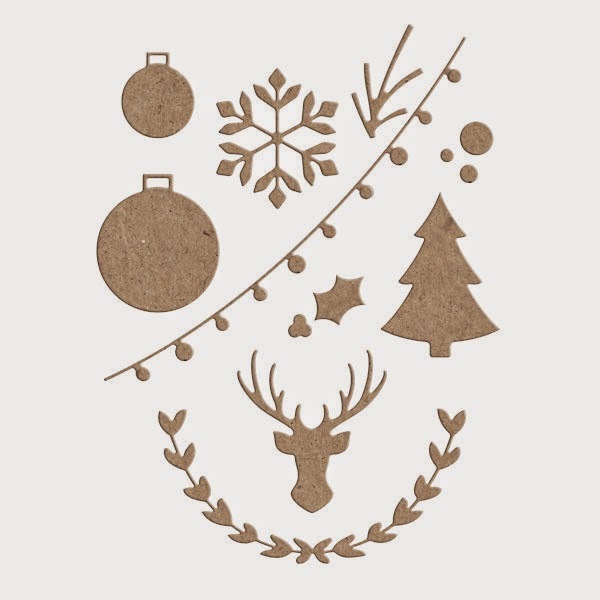 These paper pads are gorgeous with specialty papers, die cut pieces and more. 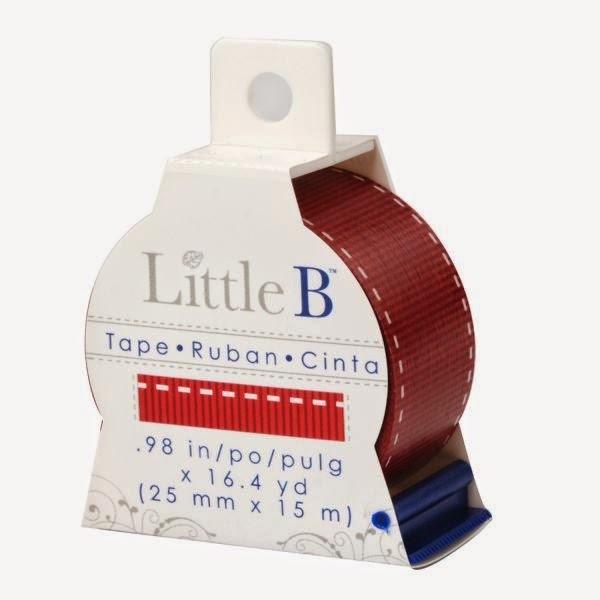 Great for card makers with their reduced pattern size. Also wonderful in doll houses! 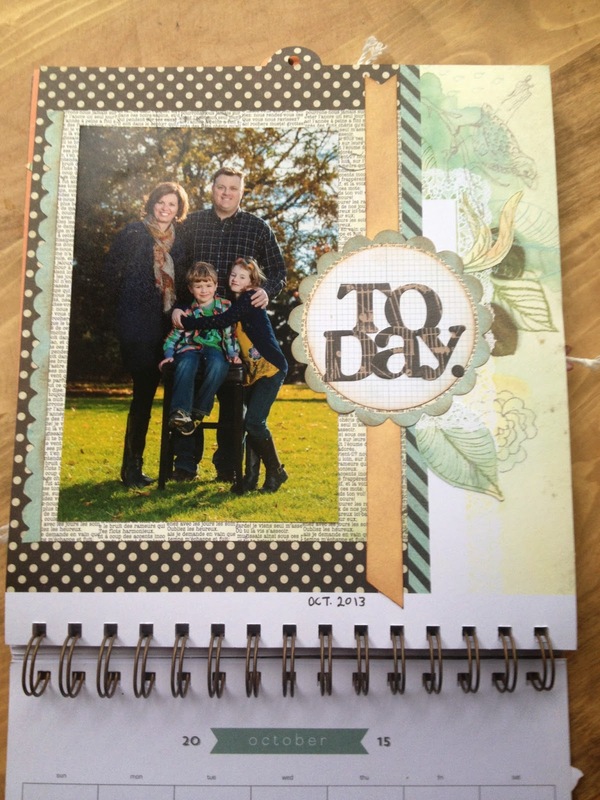 Use the beautifully coordinated papers on your page layouts. Say it with me....the possibilities are endless! We will also be passing on an EXTRA 50% off all items on our clearance "ironing board". (Of course our sales bin is on a wooden ironing board). Where else would it be?! There are some great things here too people! You want to have a look! 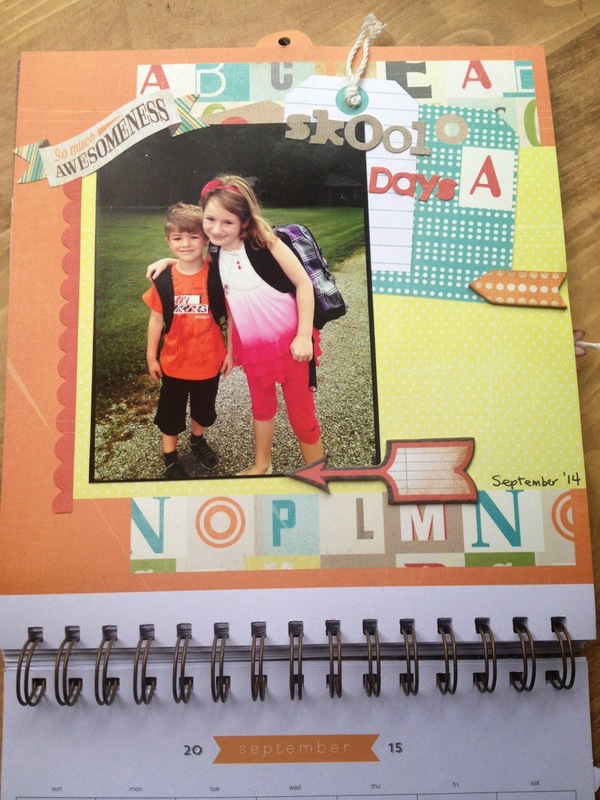 Ok. How cute is this idea? 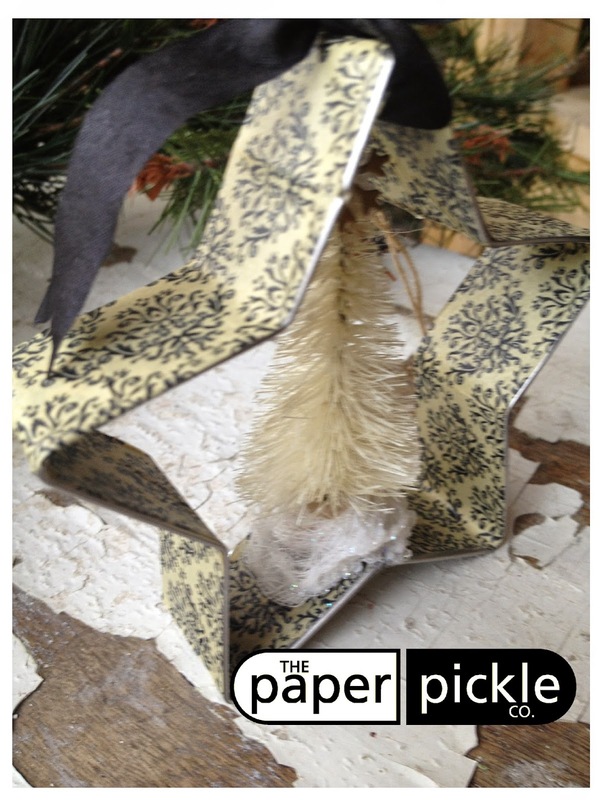 My sister Kell had seen an idea similar to this on line and said it would be the perfect combination of Homebaked plus Paper Pickle. Kell sent meand this is a Martha Stewart idea. 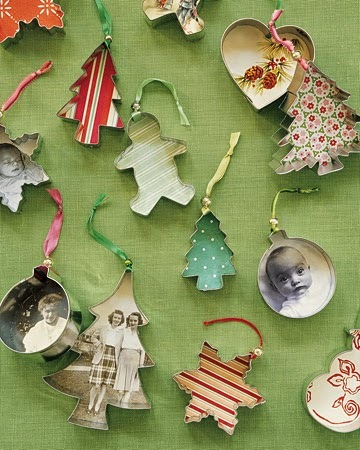 I must try the photo ornaments next! And I couldn't agree more! 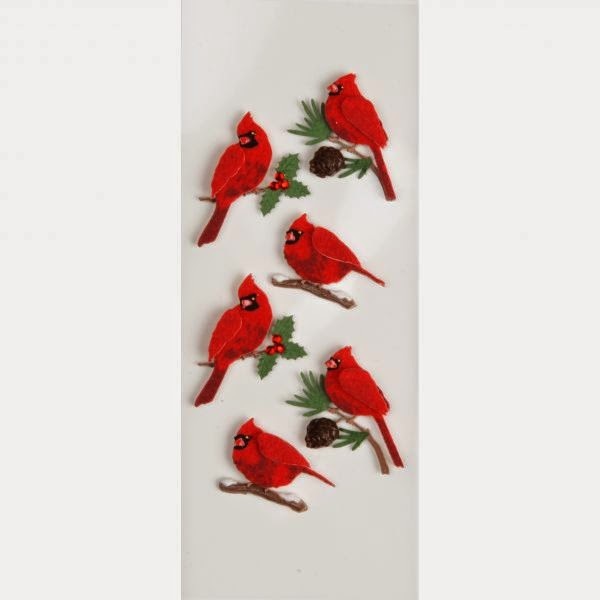 They are cookie cutters dressed up with scrapbooking paper, washi tape, ribbon, etc. So this ornament is my favourite! 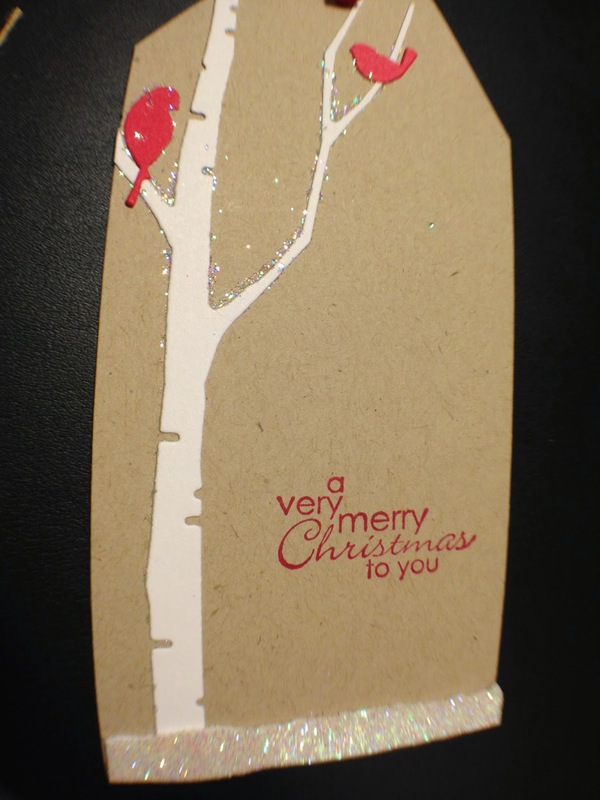 It incorporated Tim Holtz's mini Christmas trees, ribbon and washi tape. I must say that this came together even more perfectly than originally planned. I picked up cookie cutters from The Superstore. I think realized that Tim's mini trees fit into the star. 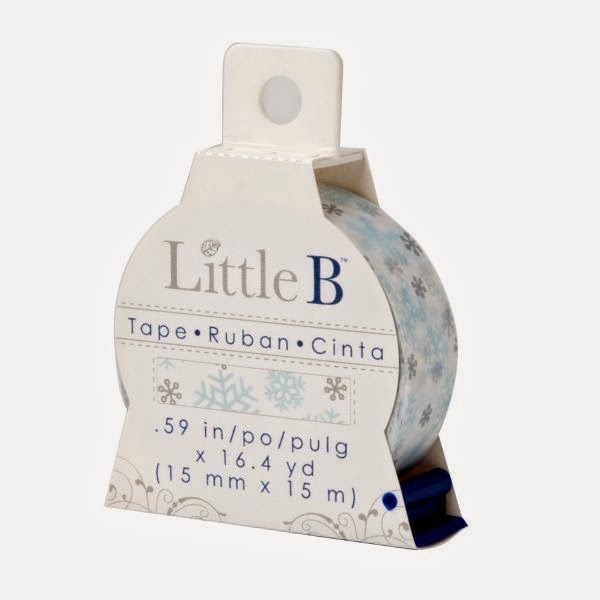 The cookie cutter was shiny silver and that just did not match my tree so I grabbed some of our wide paper tape from Little B and voila! It was THE EXACT thickness as the cookie cutter. 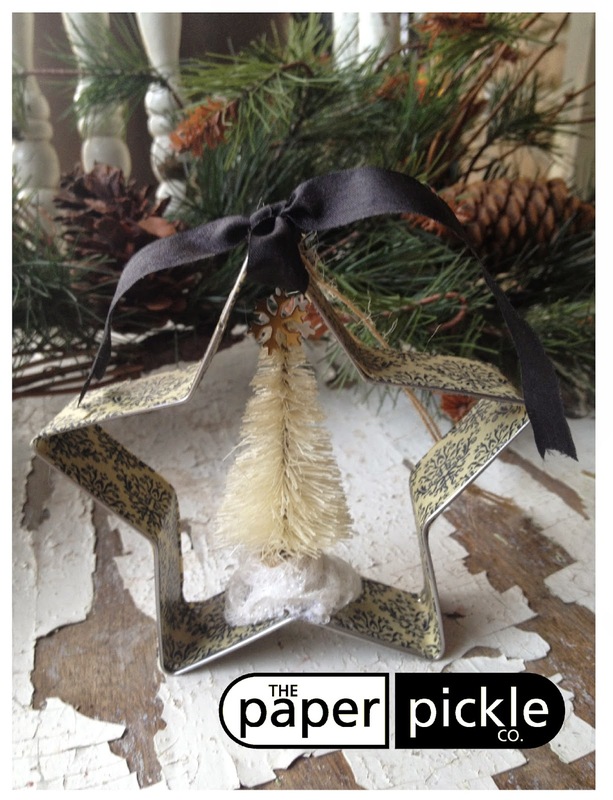 A little cheese cloth and Stickles finished the bottom of the tree. What do you think?!? Doable? Definitely! Thought I should update you on my calendar progress. Here is what I had accomplished last night before I turned into a turd on the couch! Seriously I had my flu shot in the morning and I could not move off the couch between 9-11 last night. That is so unusual for me. I NEVER watch tv and yet all I could imagine myself doing what napping and laying down. Tonight I hope to get a little more completed before the December 1 deadline! I LOVE the Warm & Cozy line that Laina told me was a must to bring in. Thank you! 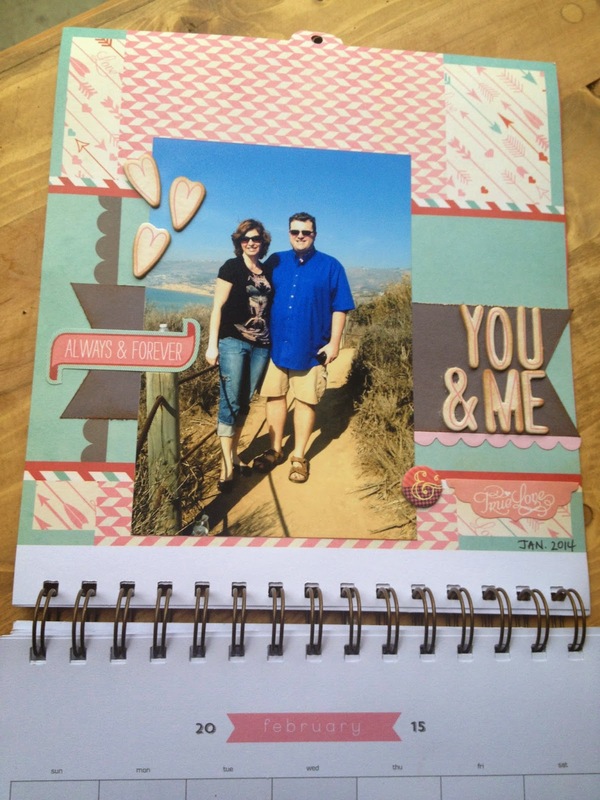 It was the perfect paper to use on hubby's project! I just love when things come together! Am I inspiring you yet? What projects do you have on the go? Remember, Saturday is show and tell day at the store! I'm back with another fun project and/or gift idea. 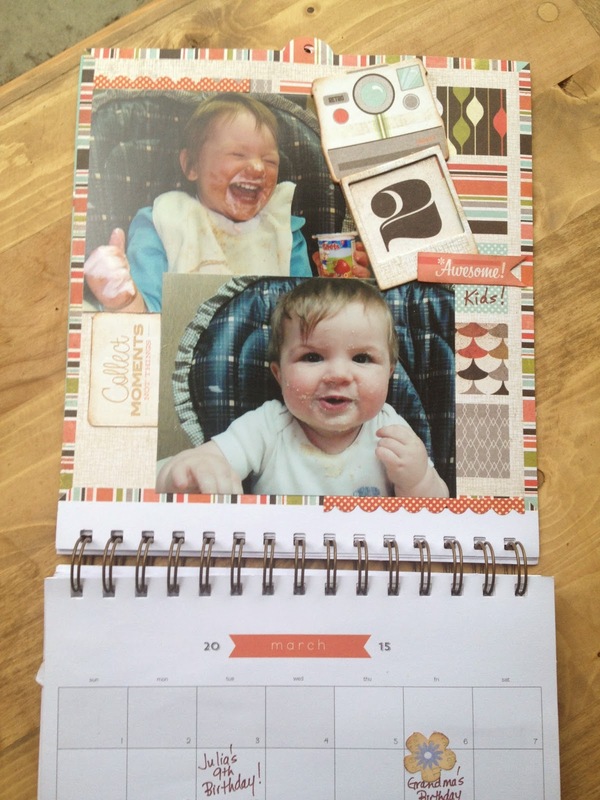 Every year I make the Basic Grey calendar kit ($23.50). Every year I am reminded how MUCH I love this company AND this project! Actually, I am reminded of how much I love this company and this project every time I look at it hanging on my wall...that's the best part! It's funny how excited I get about this kit. I re-read my post from last year and I had to laugh at my pictures of the project. Seriously, Kim? You were taking pictures of the completed project while you waited in line at Laura Secord? Now this is love people! Ha. So the kit works exactly the same way as it always has....there are pre-printed pages which act as the "base" of the page. 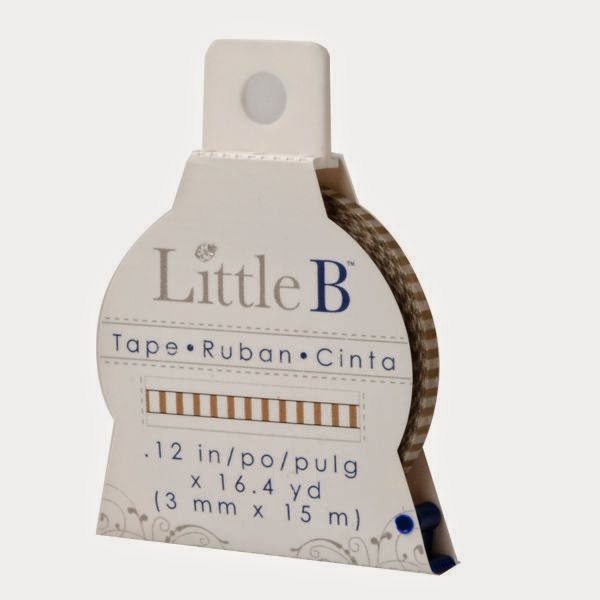 BG has included a great assortment of stickers, chipboard and die cut pieces to enhance your page. The best part is that everything is labelled so nicely. Another great thing is that you are able to follow along with the instructions or feel fee to change the page as you wish! The page above for March was the last page I completed because I couldn't decide if I liked the picture of Coulter or the picture of Julia better with the background colours. 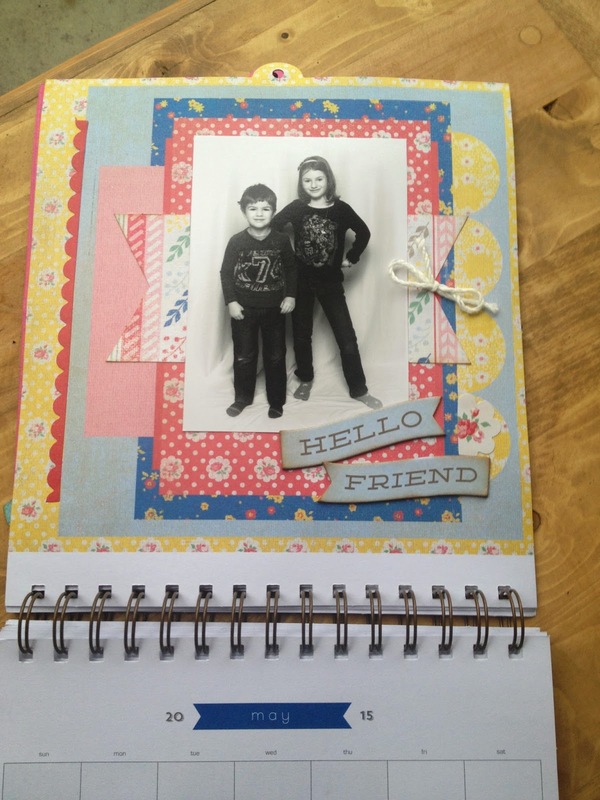 I decided that they BOTH worked well and there was just enough room on the layout to accommodate both! Another side....parenting tip #6 - when working on family projects such as this, make sure you have EXACTLY the same number of photos of each kid otherwise further meltdowns and/or feeling of guilt may ensue....damn! I just counted and see Jules got one extra photo! Oh well. Coult is pretty chill. Next year I will give him an extra shout out! As always, I chose photos based on the colours in the "base" and colours in the photo. 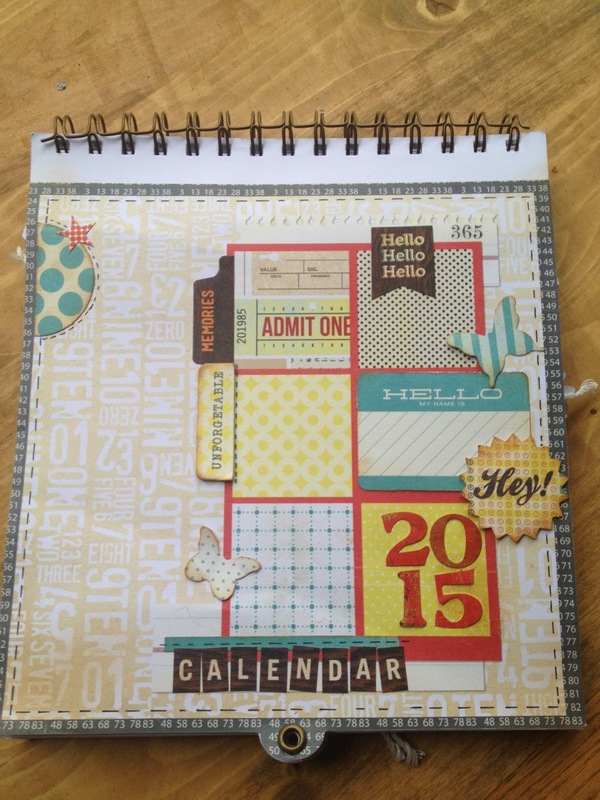 This year I am going to go one step further with my calendar and actually jot down events on the calendar. I think it is important to get down some of these fun milestones ANY way you can...I may even let go of my inner perfectionist and not worry about the ink colour not matching! 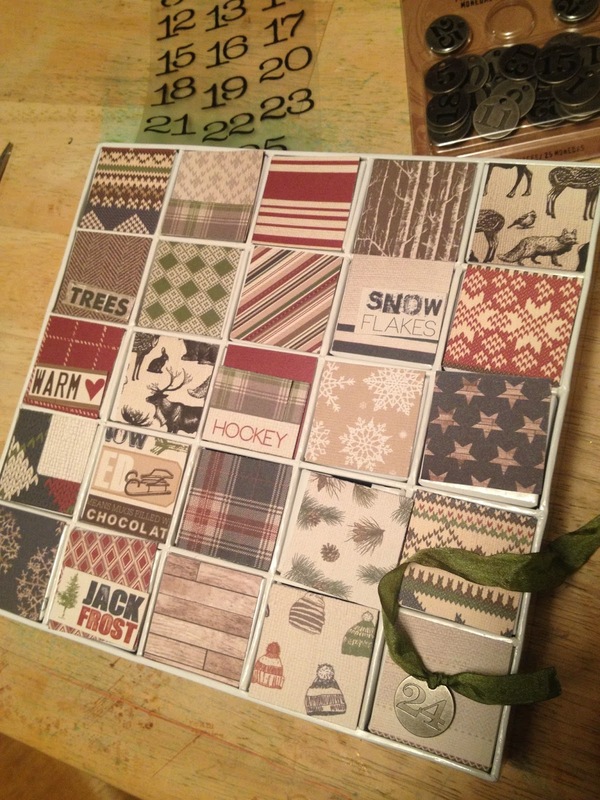 I also plan to take my 2014 calendar apart and slip the pages into an 8x8 album. I think this will be a great way to preserve the layouts. 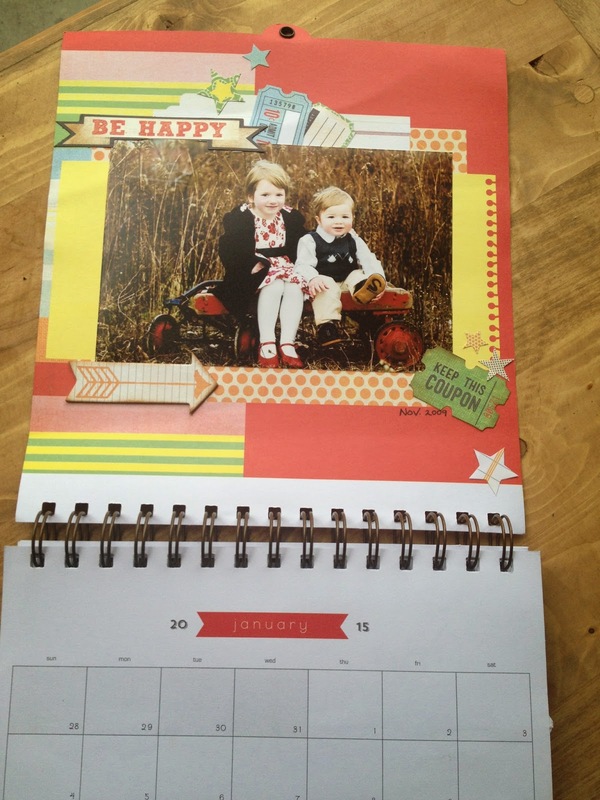 Just flip through those photos and find the one that speaks to you and add it to that month! I absolutely LOVE how this page came together. I followed the instructions 100%. Just awesome. I just love when things come together so nicely AND so easily! This project was completed over the course of two nights after the kids were in bed. You just follow along....not much thinking involved. You feel productive. You feel creative. You look like a rockstar (yet, AGAIN!). That's what I'm talking about. 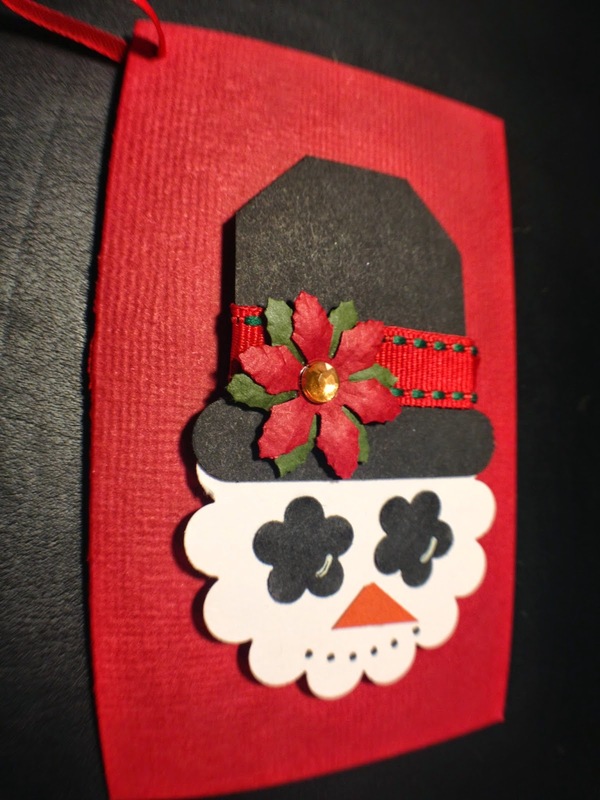 So I thought it was time for me to post a few of our holiday creations over the next couple of weeks to inspire you. 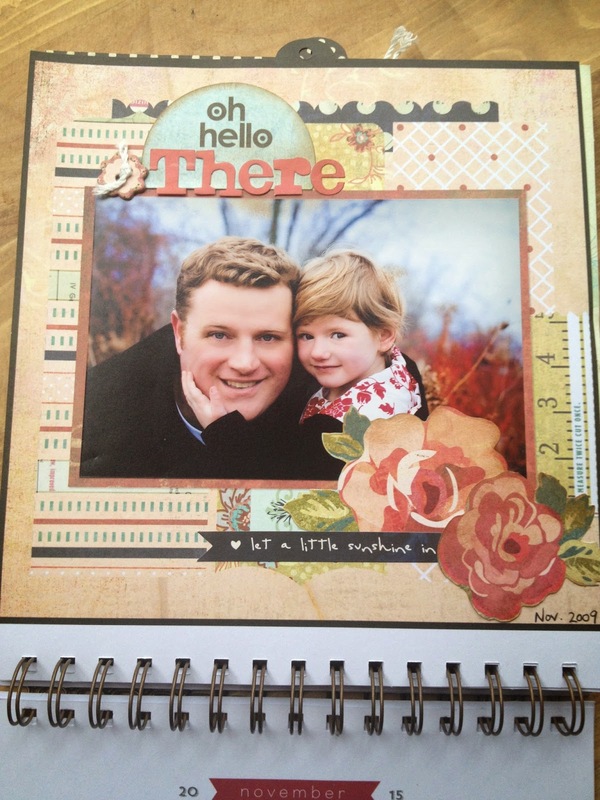 I will admit that this is not new but they are so FUN I just HAD to blog about it! 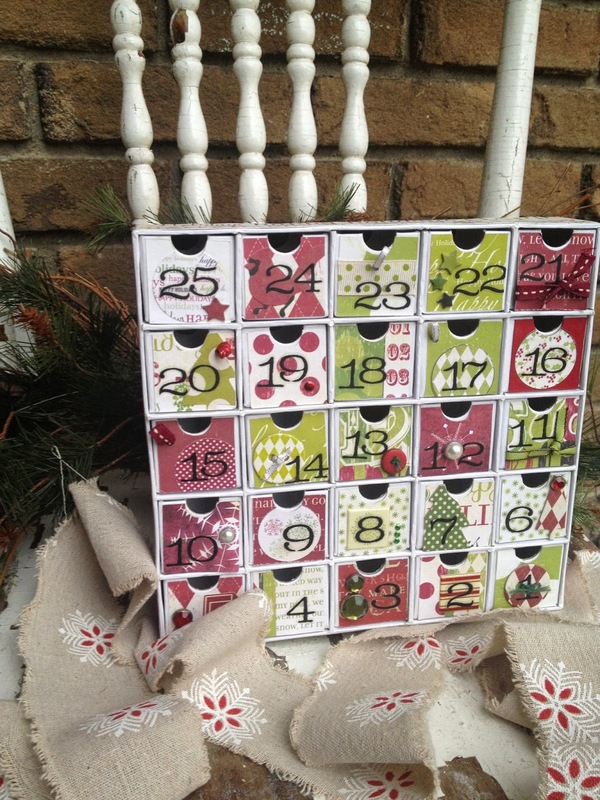 Check out this DIY Advent Calendar ($23.99). 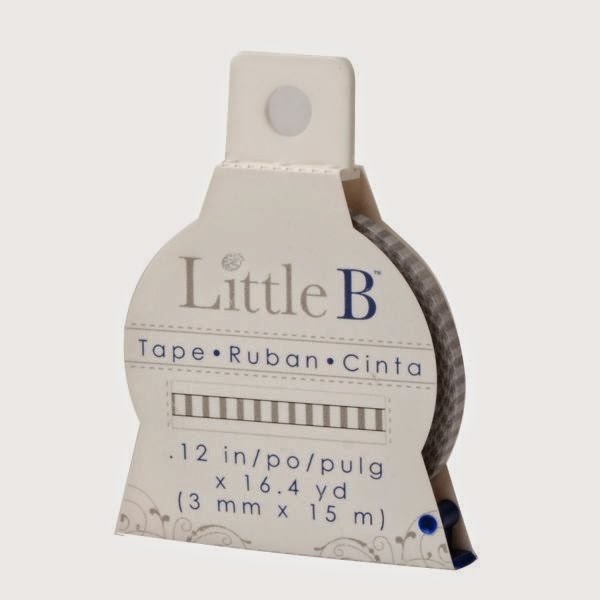 It measures 8.5"x8.5"and is made of a nice coated cardboard and includes clear stickers with black font for numbers 1-25. It starts out all white....a nice blank canvas. 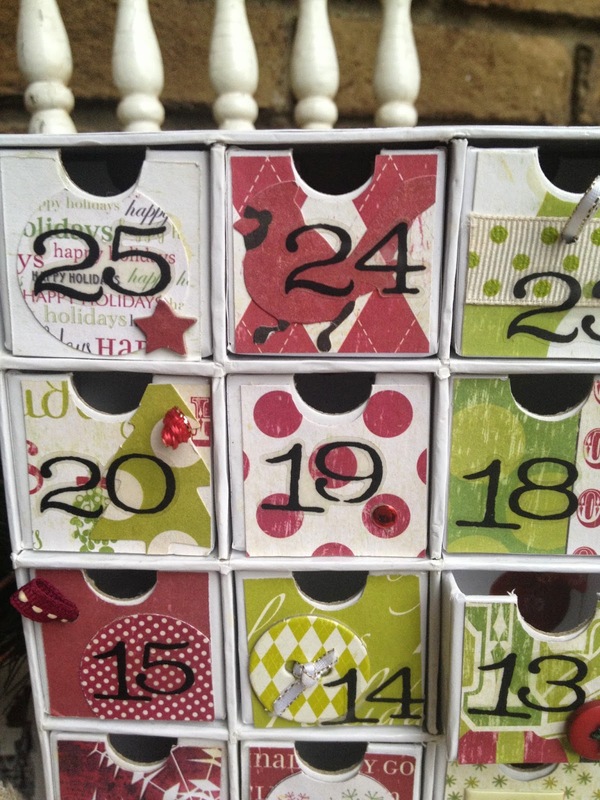 I'm sure everyone has had an Advent calendar at some point in their lives. I remember the ones as a kid that were in a thin cardboard box with the little perforated doors that opened to reveal a chocolate. 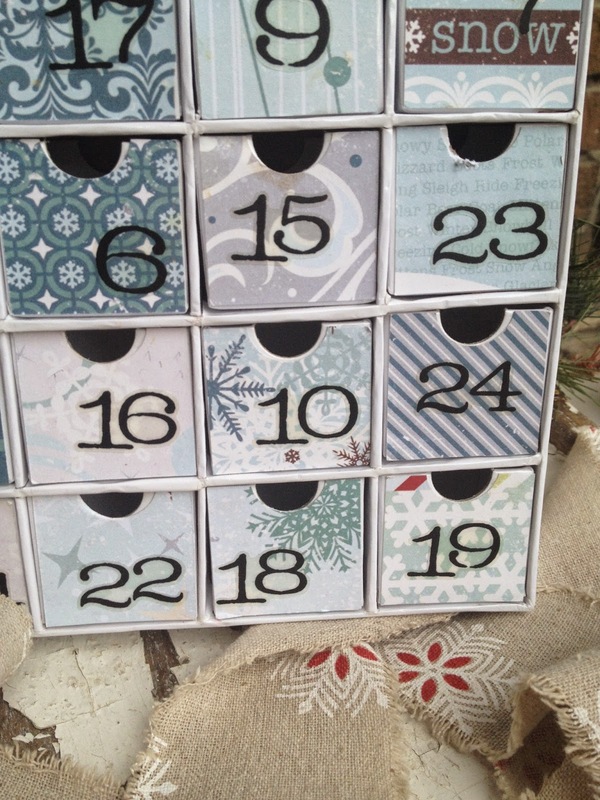 From December 1 to December 25, I remember being so excited to open that little door to get my "treat". I know kids don't mind those waxy boxed chocolates but really? I'm sorry....they are terrible. I guess it is more of the counting down part that was the real "treat". 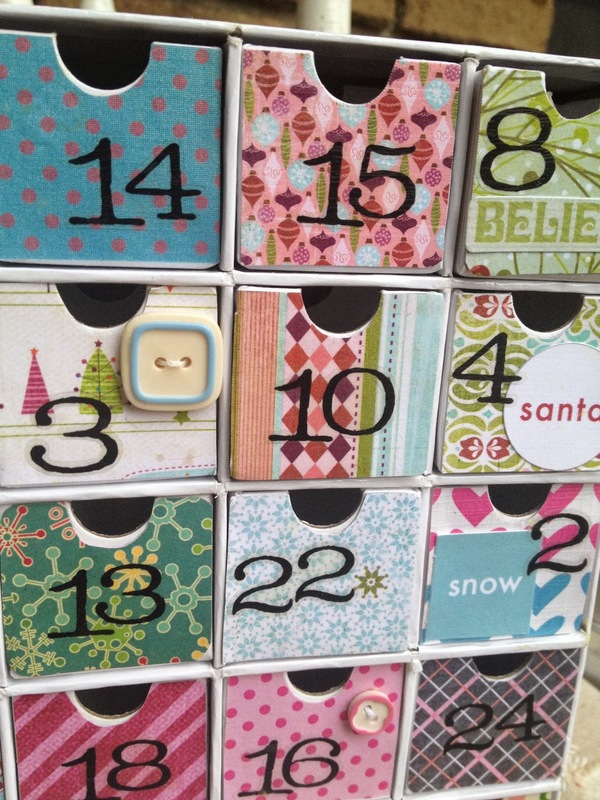 So today there are tons of companies with their own Advent calendars. Did you see the ones from Lego? Pretty cool. I think they are around $50 but in the end you get all the Lego pieces to build your scene. I think these kits are smart and practical (kids get great toys to play with) but once you open the little doors, it's kind of done. Next year you have to buy another one. You Get to be Creative! using traditional and classic colours. How fun! 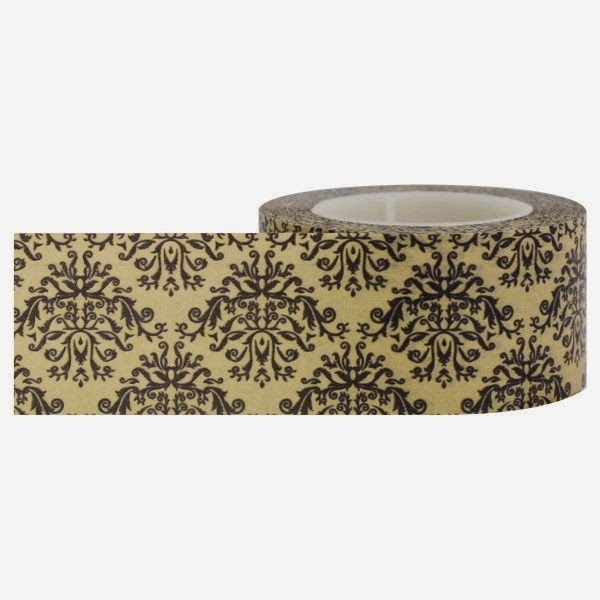 What I like about these kits is that you get to choose your own decorative papers to decorate the box based on the person you are creating it for. The entire time you are choosing the paper and adding the little goodies, you are thinking about the person you love....that is just good for the soul. Another reason why I love this project is because once you design it, you can use it over and over again! This one I designed for Coulter about 4 years ago. I chose the great blues because he is a boy (I know....not very original or creative but he loves it!). Anyone remember these papers? 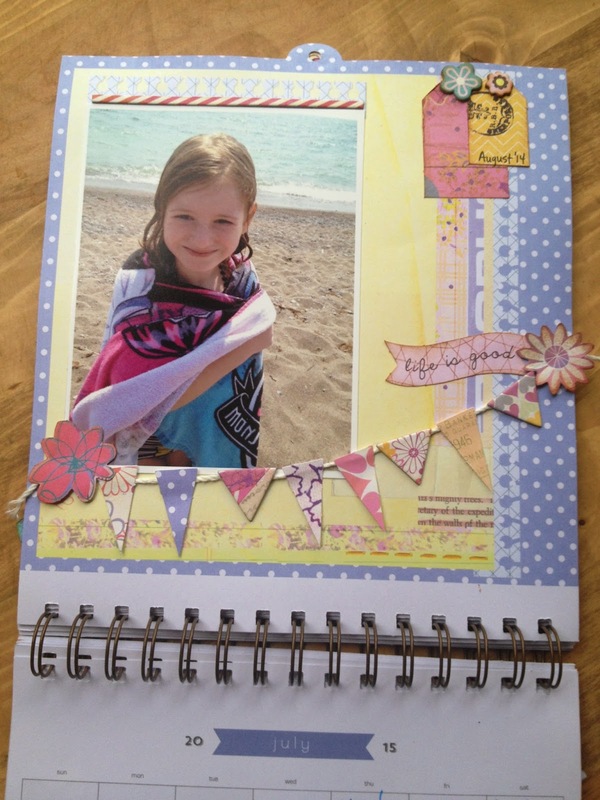 This one was created for my daughter and so I decorated it with great fun, girlie colours. I also filled the cubes last year with Littlest Pet Shops, money, candies, Squinkies and even a little ornament for the tree. Every day the kids got to open the corresponding date. They loved it! They loved the count down and I think they loved seeing what I chose for the particular date. Side note.....and parenting tip #48 - if you have two or more kids, make sure you put equivalent "treats" in each kids corresponding dates or you may be setting yourself up for potential meltdowns. Ha. "Hey. Why did Coulter get a toonie and I only got one jelly bean?" Yeah. Not cool. Not cool at all. I decided that I am missing one very important person in my life when it comes to these holiday creations....my hubby! I use to make tons of handmade projects for him when we were dating. You should see my cross stitched Mustang Football player wall hanging and my hand stamped scrapbook (like EACH letter was stamped to created my album...what?!?). These days, everything is created for the kids and not really for Trev. This year my plan is to make him a little calendar. Just think of the fun things you could add in that little 1.5"x1.5" cube for your honey. A little love letter? Traditional chocolates? Something a little more risque? (Hey...hey...hey....I know you guys were all thinking it!). 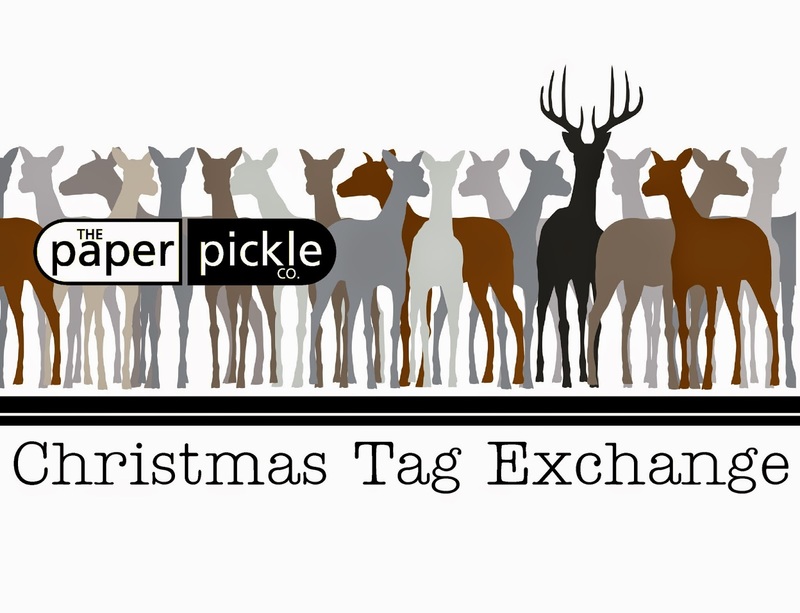 So last year was the first year for our Christmas Tag Exchange at The Paper Pickle. People were telling me that they wanted a fun way to share their love of the hobby and so the tag exchange was born! 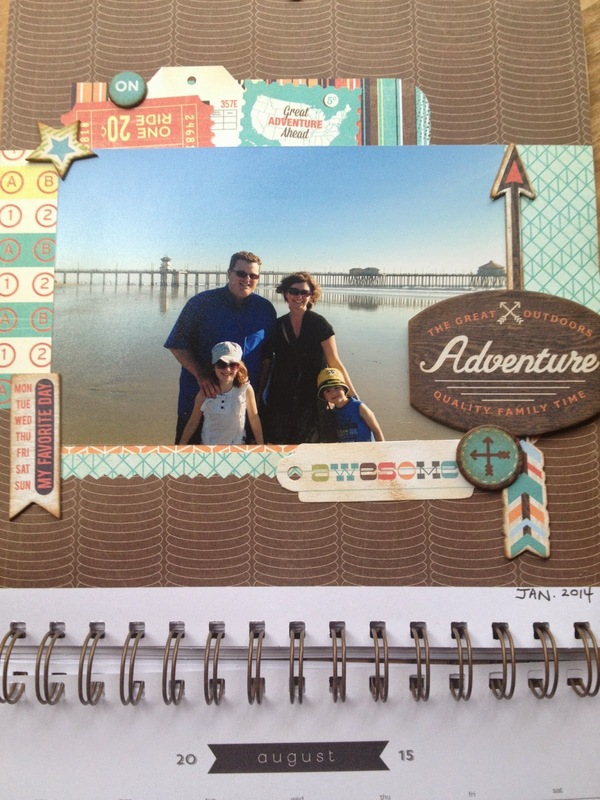 I absolutely loved this idea because you were able to show your fellow crafters what you've got! 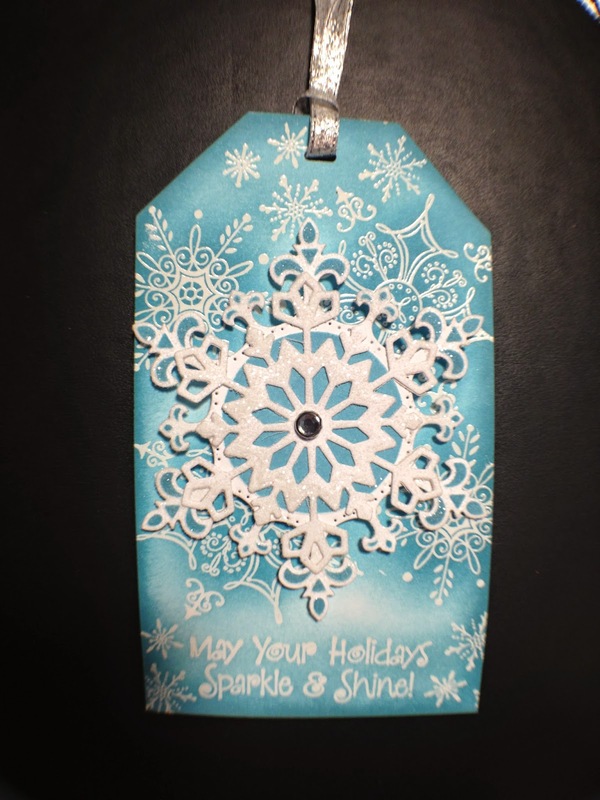 It was a perfect time to shine and I mean who doesn't need an extra tag or inspiration at this time of the year?!? Lou rocked with tag with tons of Tim Technique! 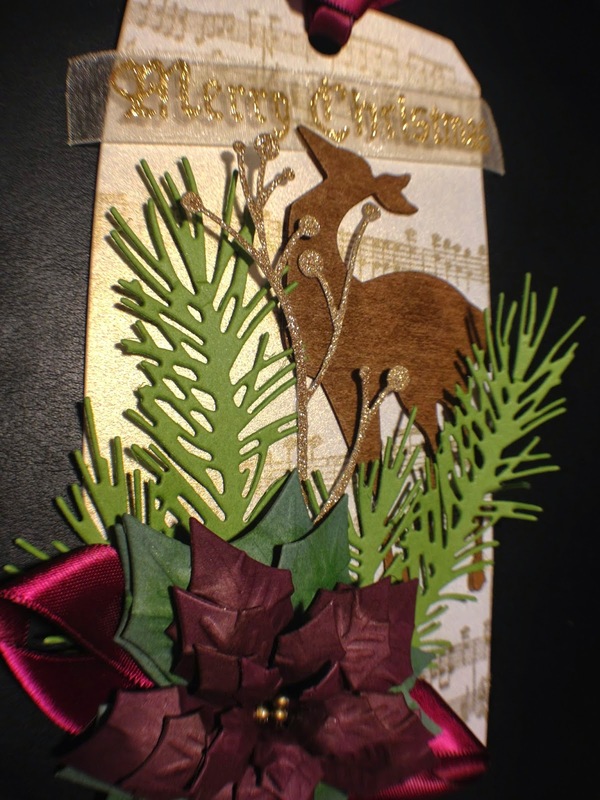 the tinsel, bell and angel charm made by hand! the roof top and fence were a great touch! Look at the bow on the door! Awesome. Donna is the queen of dies and cut outs. 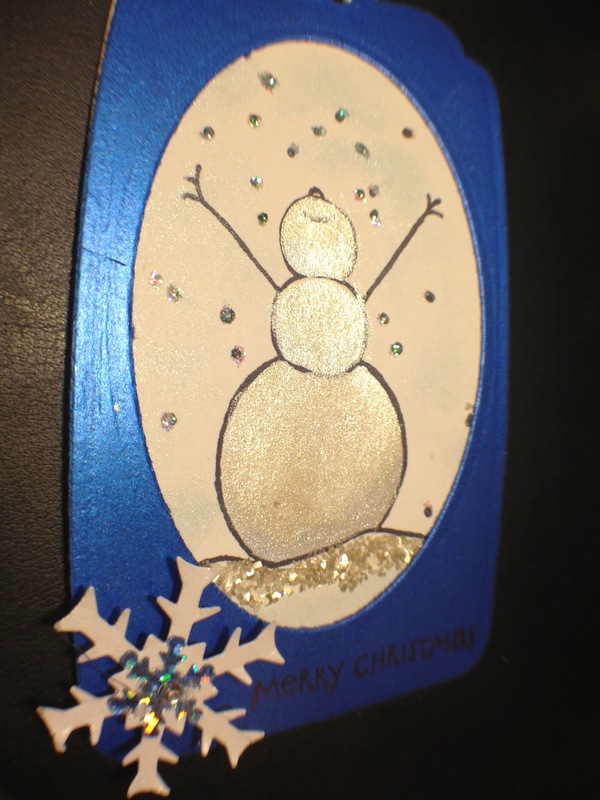 I thought the scalloped elements of the snowman were adorable. Look at the details on the hat! 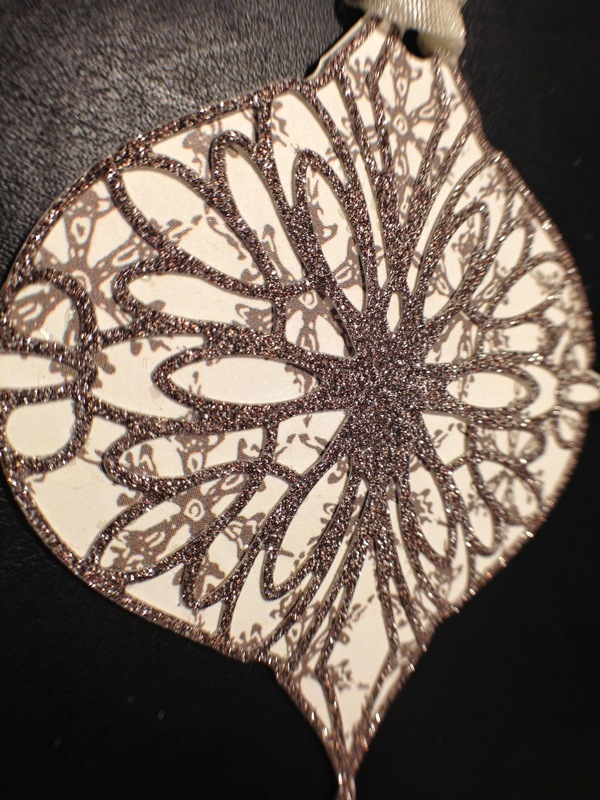 silver embossing powder and pearl brown ink were spot on! 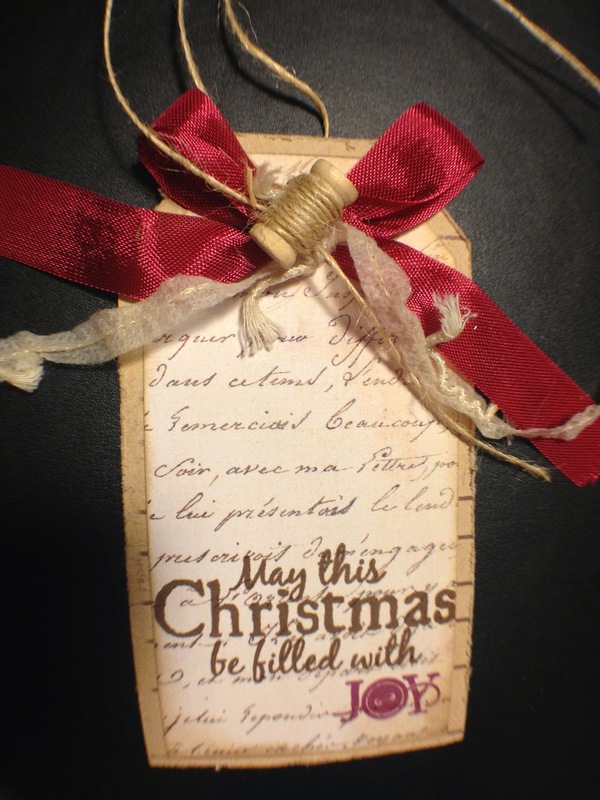 Jolene designed the perfect tag for a rustic inspired gift. 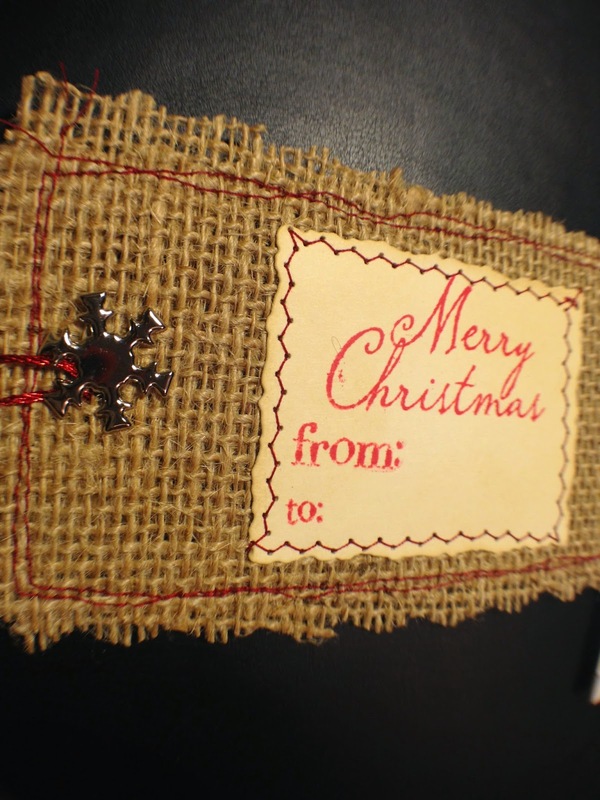 I love the use of real burlap and red stitching! The silver snowflake brad was the perfect dimensional element. Jody's tag is simple yet undeniably elegant. 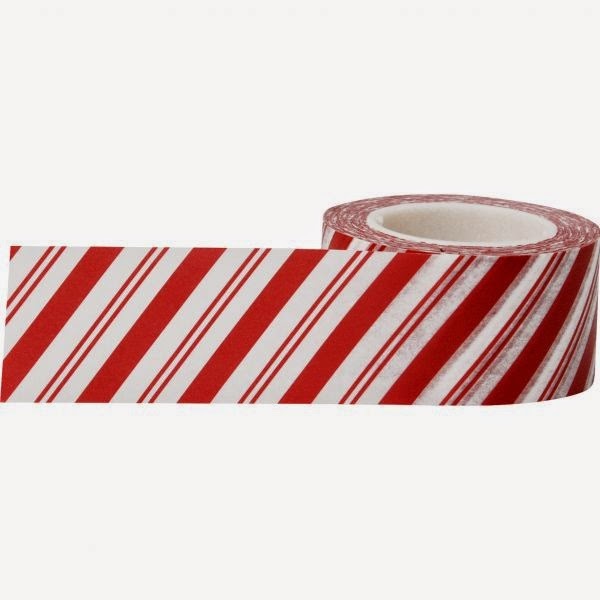 Kraft+White+Red = the perfect pairing of colours. this tag to the next level. so you could see the incredible shine and shimmer. using shimmer sprays. 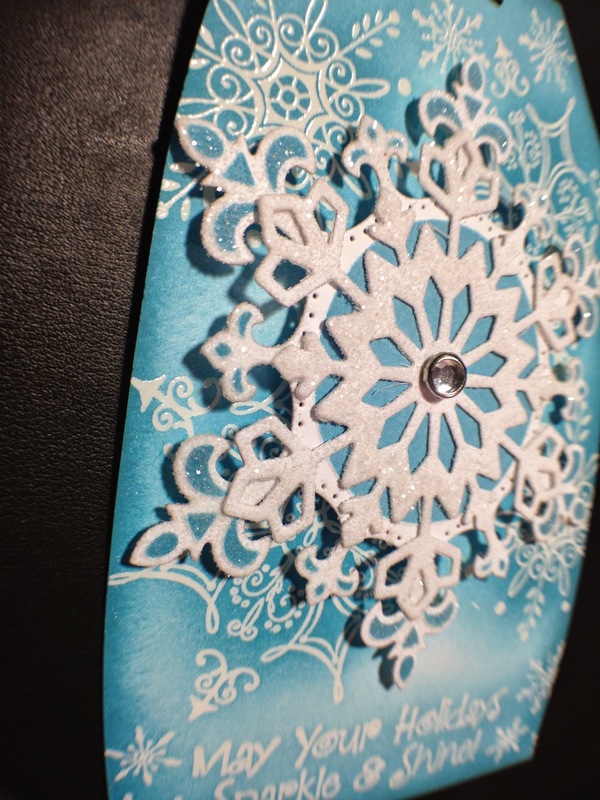 The mirror paper added a regal elegance. 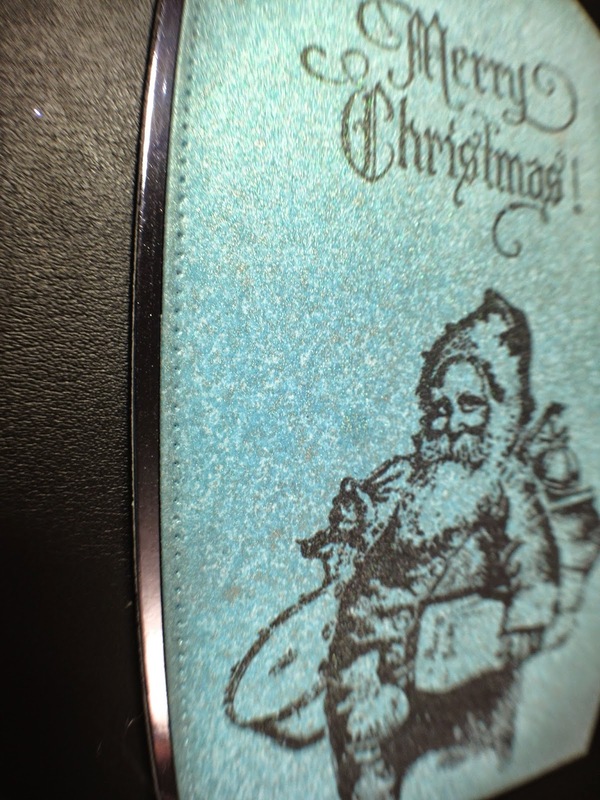 heat embossing and more to create a truly timeless design. Ok. Pat's design wins the award for most dimension. 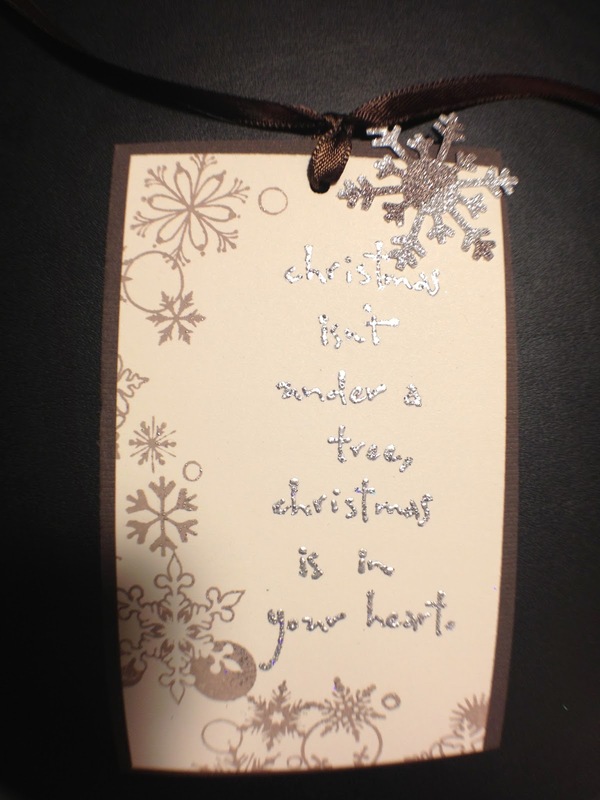 She even had to ship these tags to me in a box! Ha. The first word that comes to mind when I look at this is - WOW! and glitter will have any girl smiling! This was my design. I gushed about it enough last year. What do I love about my own? Well that little dimensional thread spool of course! Here is a close up of Heather's tag. 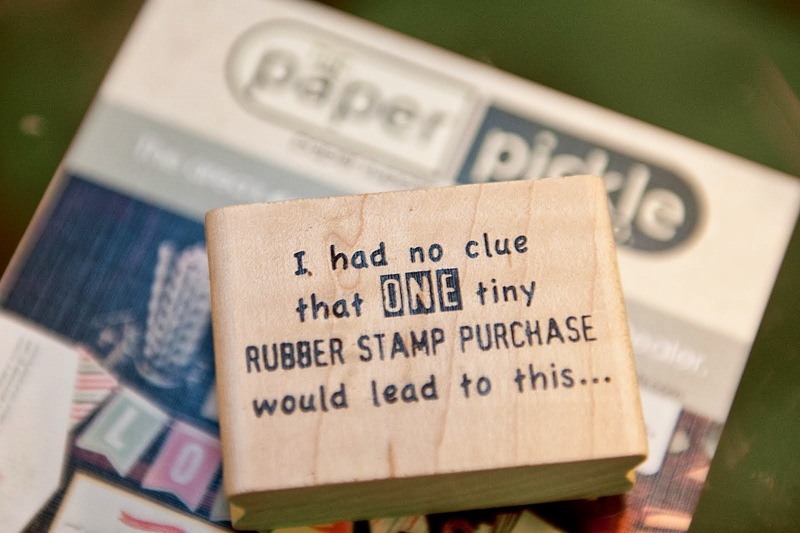 The shape and use of pow paper makes it stand out on any gift. Simple. Elegant. Another crafting mission accomplished! You want to join this year's exchange? No pressure but I know you will have fun! I know you can do it! 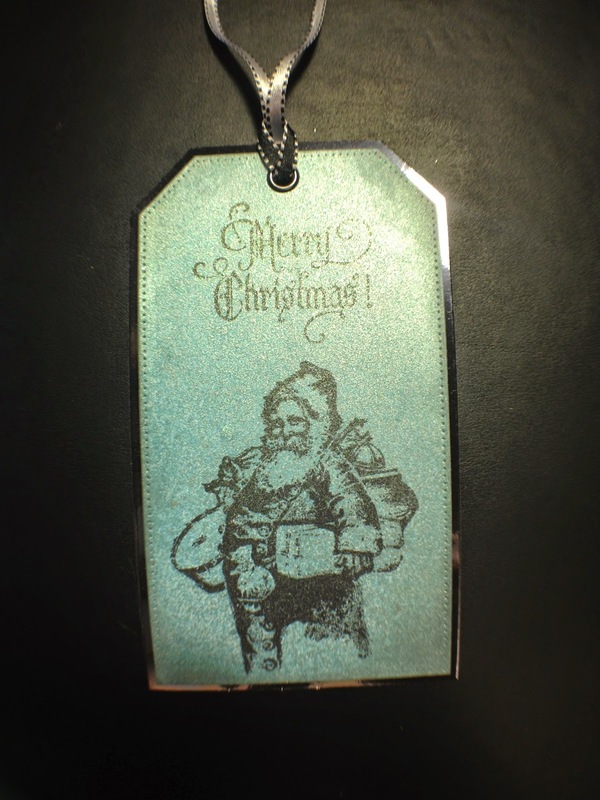 I'm so excited to see this year's tags! Well. Well. Well. 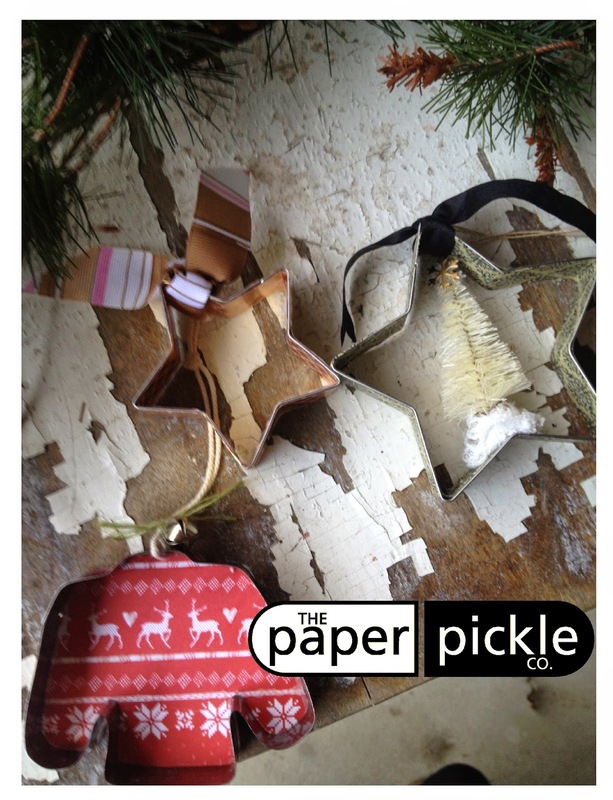 What a weekend we had at The Pickle and Homebaked Kitchen! Thank you to those of you who made a special trip to spend time with us! It really meant a lot! 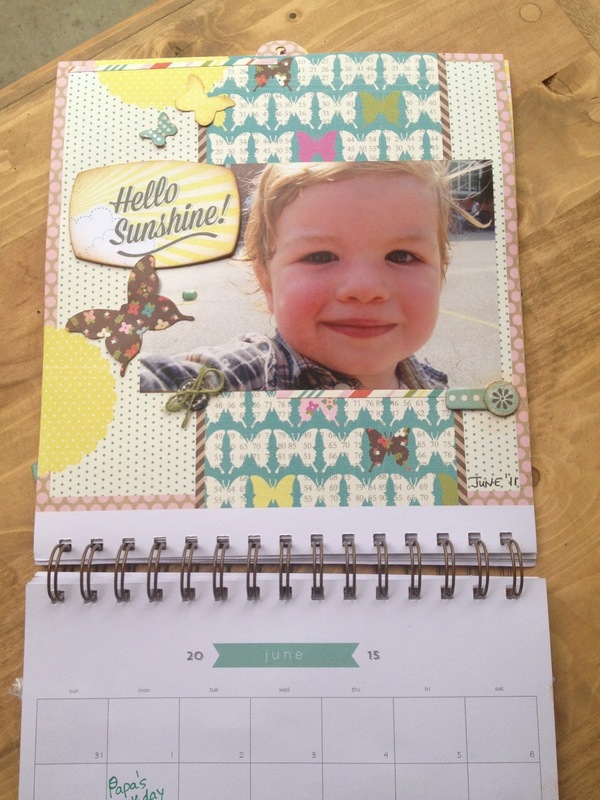 Debbie designed a fun make and take using the new dies from Little B (sample can be viewed at the store!). You were lucky if you snagged one of those dies on the weekend. We are now sold out but don't worry! We have more on order and we should see them next week! 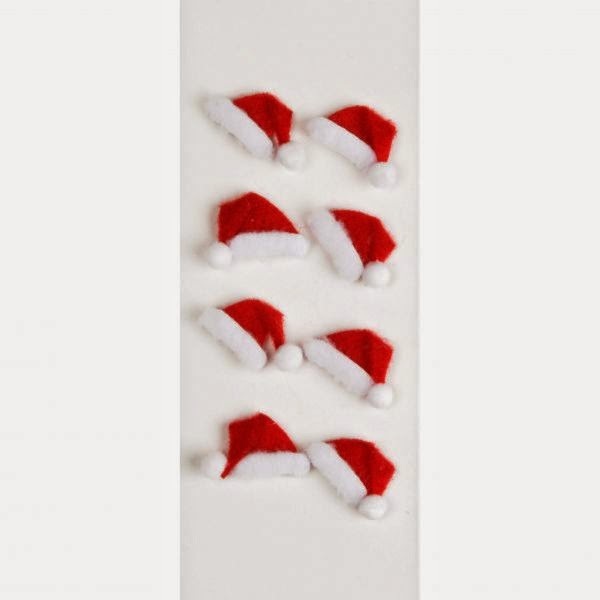 At $17.50 per set, WITH a great magnetic storage system, it is a must have. 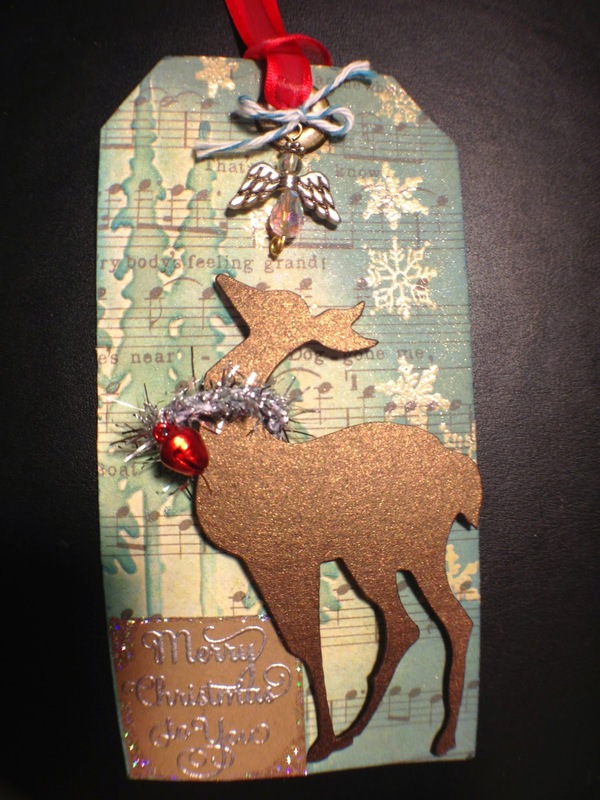 Check out my little tag frame near the cash to see the quick, little tags I made using the deer and snowflake die. 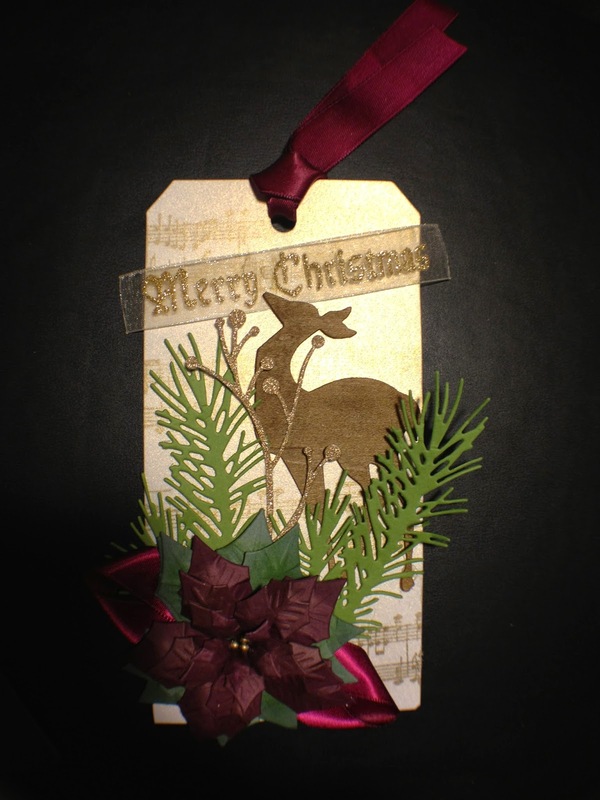 Just wanted to let you know that we have 2 spots left in tonight's class. Please call the store if you are interested! Details can be found on the post from November 8th! Just a quick post to say hi and tell you we have lots of great items in store to inspire you!! See you soon! Hey guys. Today is THE day! 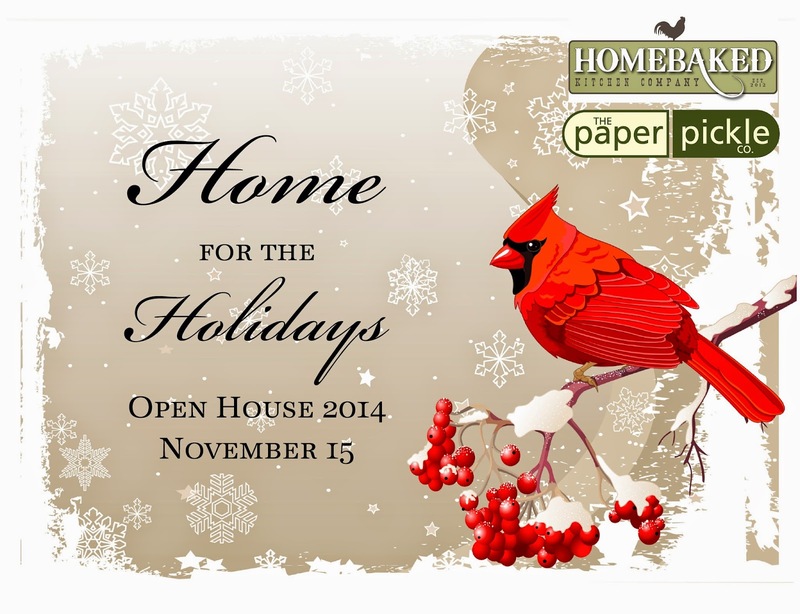 The Paper Pickle and Homebaked Kitchen's Christmas Open House! Our very first one together! Stop in today between 10am-4pm and prepare to have your senses amazed. 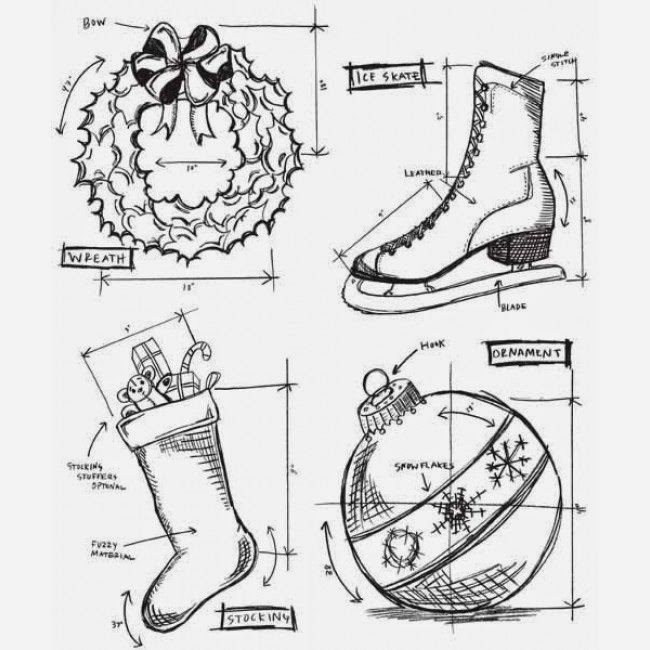 Tomorrow is the big day....our Christmas Open House! We have been very busy over here getting the store ready for you! 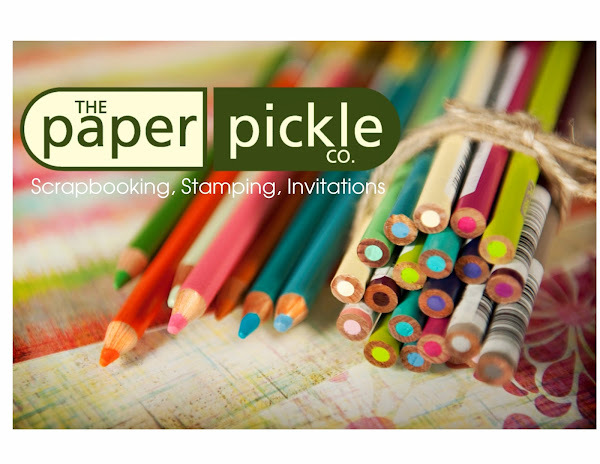 For every $100 spent before tax (on Paper Pickle items ONLY), receive a $25 gift card to use on future Paper Pickle purchases! 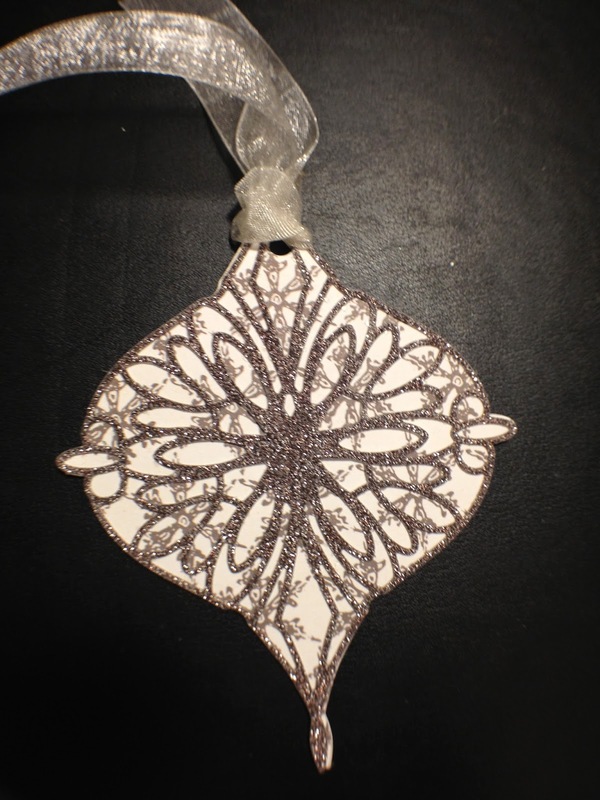 Have a look at a few of the incredible Christmas items I brought in! 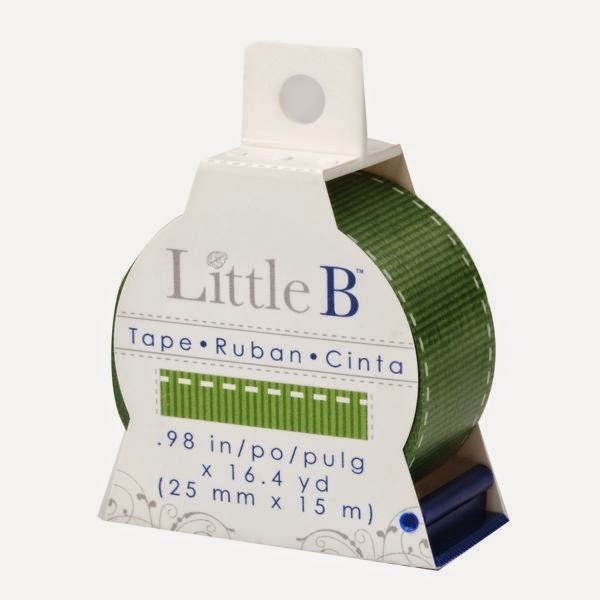 These tapes are my so great! 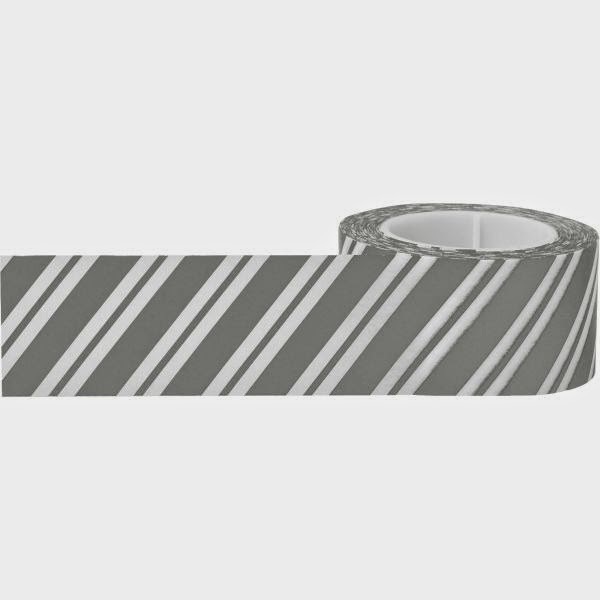 Decorate boxes, add them to cards, layouts and more. I couldn't even wait to work with these dimensional stickers. You all know I am not a sticker person, but these are so realistic and made of felt, etc. You will have to check out my little cardinal tag when you are in tomorrow! I could not resist the adorable designs. And priced at $17.50, these are a real steal. They even come with their own magnetic storage folder. Great value and a great gift! 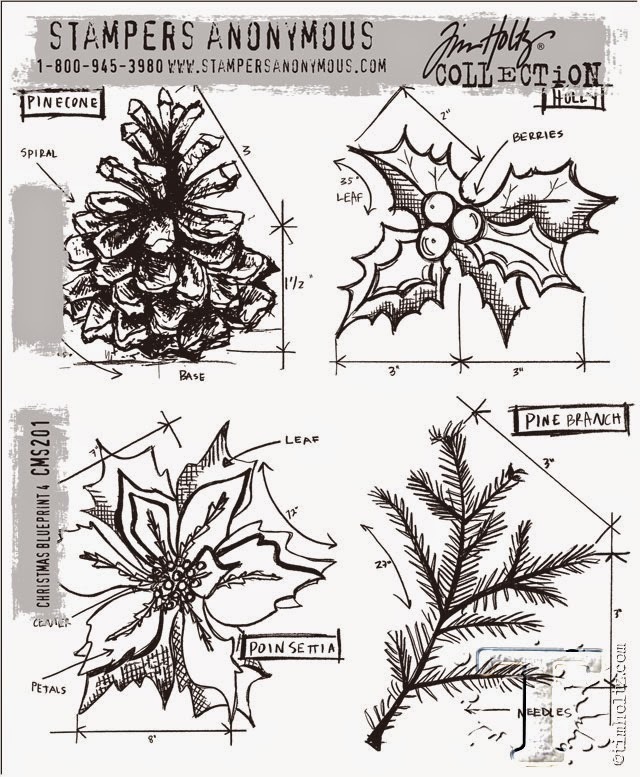 Here are just a couple of the Tim Holtz designs in store now! 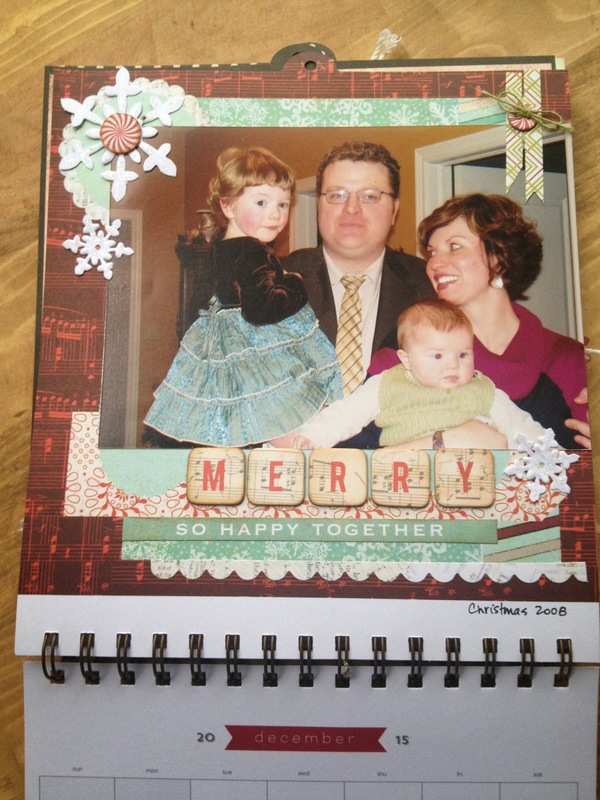 We also have great every day blueprints sets as well as other great Christmas sets. I really hope to see you tomorrow!